With Russian-Western relations fluctuating on basically a daily basis, understanding Russia is of heightened importance. And finding a connection to it through fantasy and youth just may help smooth international relations when today’s pre-teen readers get old enough to be diplomatic movers and shakers. Okay, maybe that’s wishful thinking. 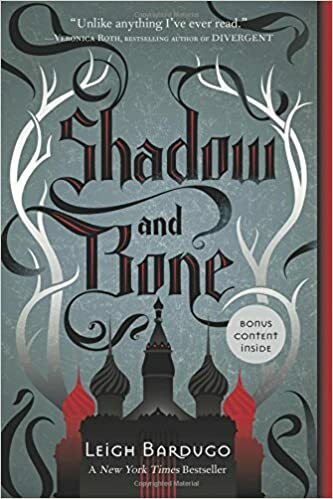 But whether or not there’s a political benefit to young readers getting acquainted with Russia, the growth spurt in literature for kids and teens with Russia as a setting paints a picture of a world that is exotic and strange, but also full of young folk just like them. Well, maybe with a tad more power to cast spells or change the course of history. But basically just like them. Take a historical situation – the fall of the Romanov dynasty, say, or Stalinism. If you like things spicy, make it magical. Fantasy tidbits that can change the fate of nations, people controlling nature, mind reading, that kind of stuff. For good measure, plop in a dose of pre-teen romance, whether or not it actually advances the plot. Those are the key ingredients, but each author serves it in a unique way. So whether you prefer your Russian YA with sour cream or dill, here are eight such dishes for you. This doesn’t (technically) take place in Russia, but in Ravka, a formerly powerful nation with enemies on all sides (political allegory alert). It’s been overtaken by a blanket of darkness full of monsters that eat human flesh (okay, slightly less relevant in IR class). Baba Yaga may not be quite so popular, but she’s replete with talking cat, house on chicken legs, and ability to time-travel, or at least take peeks through time. That part may not be from the folklore, but it's wicked interesting. One egg to rule them all, and in the communist revolution bind them. That’s right: a Fabergé egg (what are those? Learn here) with magical powers to create snow, heal hemophiliacs, and keep the Romanovs in charge. Leave it to one aristocratic young lass to save the day. But will she save it for her boyfriend, the youngest Romanov (blood disease notwithstanding) or a handsome, upstanding Bolshevik? History books may give away the ending in one way, but they won’t tell you the fate of that ideologically complicated love triangle. Not to mention that of that egg. Two very sarcastic youngsters pop through a portal (unsurprisingly, the wrong one) and end up in Ivan the Terrible’s court. Their quest to get back to their own century covers the bases, from mystical beings, to the political chaos under Russia's most fearsome leader, to the rancid odor of sixteenth-century streets. And you can rest assured they'll bump into Ivan himself in all his terrible glory. If you thought puberty was tough on its own, try throwing in a sadistic monarch and his pack of Oprichniki. 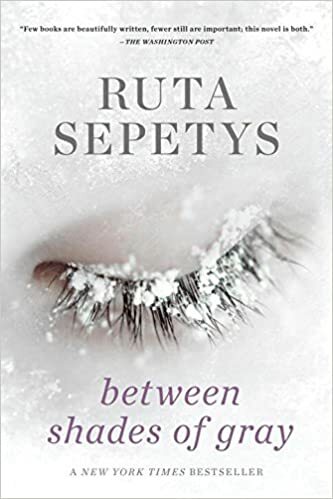 From one terrible to another: this stark look at deportation under Stalin shows the train-ride from Lithuania to Siberian exile from the perspective of a 15-year-old girl. Add the Arctic Circle, digging for beets, and some pretty extreme human cruelties (with a few tender moments snuck in). You may not be in a train car with 50 people, but you may be grabbing the tissue box for this bumpy ride. After all, unlike most of this list, there's no magic here. That would be too easy an out from the Gulag, after all. Who needs kitschy spy gadgets when you can read minds? 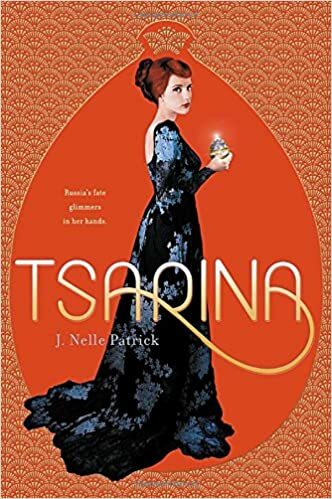 Yulia may have a leg up on black-market peddlers with her telepathy talents, but she’s also got to come up with a daring escape plan, survive secret missions, and oh yeah, face the KGB’s psychic espionage program while she's at it. Equal parts Katniss' game-changing angstiness, Matilda's cereal-eating with her mind, and James Bond (but his KGB counterpart). What a blend. Nothing says impressionable youth like being an apologist for Stalin. 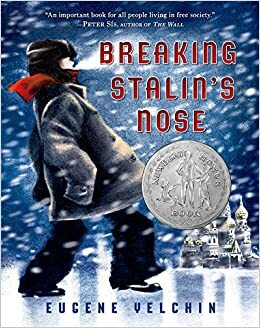 The ten-year-old boy who stars in this short, illustrated book may not literally punch Stalin in the face, but he does have to deal with fear of the purges, the debate between right and wrong, and how to question the conformity he’s been taught his whole life. Yelchin’s other novel, Arcady’s Goal (2014), is also about a boy, Stalinism, and enemies of the people, but with soccer.